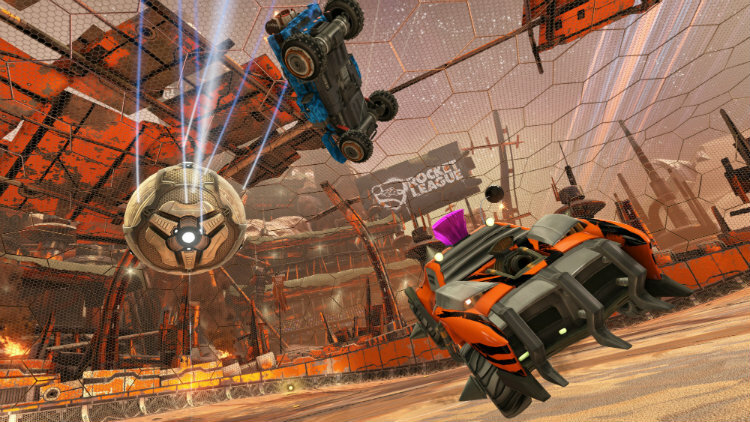 Rocket League was a huge hit in 2015, coming out of nowhere to become one of the most popular, and most talked about digital only games of 2015. In a nutshell, Rocket League is a physics-based soccer game where you drive rocket-powered cars, and the goal is to push a ball into your opponent’s goal and score points. 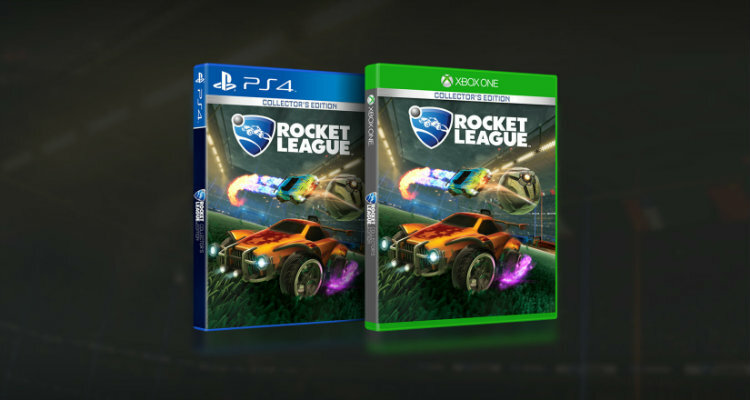 After arriving early this year on the Xbox One, Psyonix announced that Rocket League would get a Collector’s Edition disc-based release this July for the PlayStation 4, Xbox One, and PC. This new edition includes the base game, plus all the content and vehicles found in the Chaos Run, Supersonic Furry, and Revenge of the Battle-Cars DLC packs. Additionally, Rocket League: Collector’s Edition includes four new vehicles making their debut in this disc-based version. That’s a lot of content! While the best way to describe Rocket League is “soccer with cars”, at the same time it doesn’t give a true description of what this game really offers. The unrestricted movement in which Rocket League gives you with your vehicles is one of the many reasons that makes this game so addicting. One of the things that I love about Rocket League is the ability to defy the law of gravity with my rocket-powered car. You can be zipping down the field in one of the games many bright, glossy, neon coloured arenas, and in an instant perform ridiculous mid-air tricks. On top of that, you can drive on walls, and change direction mid-air in an instant. In addition to these simple maneuvers, Rocket League has several different tutorials that will teach you its basic controls. For those willing, there are advanced tutorials that allow you to get beneath the surface of the game to see just how finely tuned this game really is. Performing a perfectly timed strike with the ball, and sending it in the direction you want is a satisfying experience that will send shivers down your spine. Quite possibly one of the best aspects about Rocket League is the fact that players have no real gameplay advantages over each other. Sure, there are additional cars, decals, and antenna toppers to unlock and collect, but these do not change the core gameplay mechanics in any substantial way. While some vehicles do offer some slightly altered stats, it is never to any degree that you feel cheated if you do not have that car. It’s for this reason that makes Rocket League so enjoyable, it’s easy for anyone to pick up, play, and have fun. Rocket League features 8-player online action that be casual or ranked matches with a variety of different team sizes and configurations (1v1, 2v2, and 4v4). Additionally, Rocket League has a two, three, and four player splitscreen mode that you can play locally with your friends or battle against other splitscreen players online. With cross-platform play between Xbox One and PC players, and PlayStation 4 and PC players, finding a match is quick, easy, and simple. 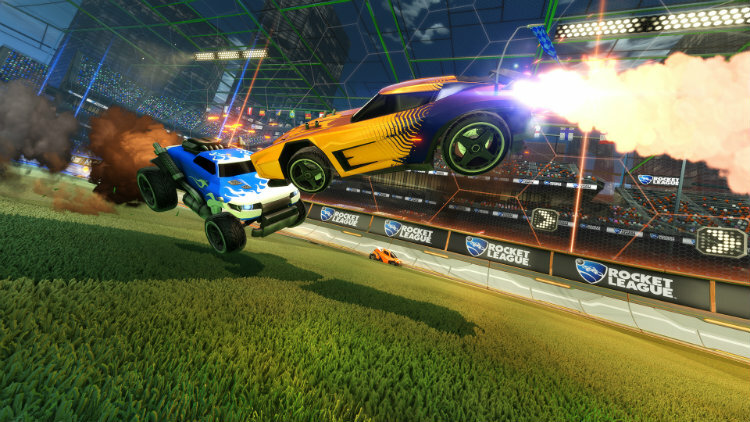 With over 12 million unique active online players, Rocket League’s popularity has exploded. Developer Psyonix took notice and teamed ESL, the world’s largest independent league for Esports, and announced the first-ever Rocket League Esports Championship Series. With a grand prize of $75000, matches will be played with the standard 3v3 setup, and streamed on Twitch. Rocket League: Collector’s Edition contains all the game modes released during this past year, including Mutators, Snow Day, Hoops, and Rocket Labs. These game modes change varying aspects of gameplay, such as ball size, ball speed, and bounciness. My favourite mode is Snow Day; this hockey-inspired mode is played on an ice rink where the ball is replaced with a hockey puck. Additionally, the physics are different from the regular mode to accommodate the ice in which you now drive on. 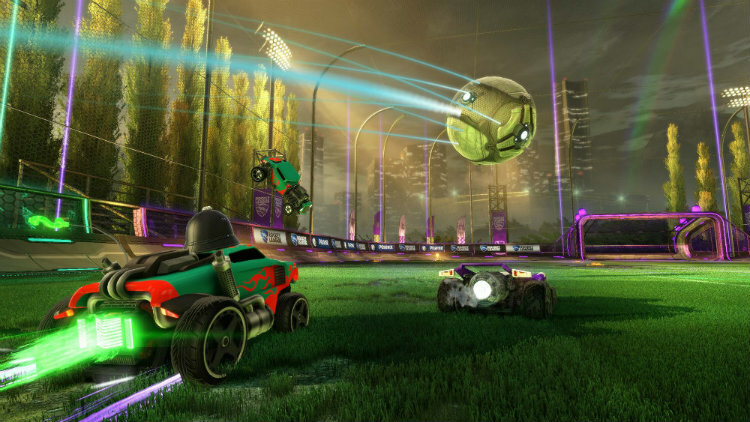 Included with Rocket League: Collector’s Edition is a single-player season mode that allows you to compete against computer controlled AI bots. Before your season begins, you can decide on its length, which will directly affect the amount of matches that you have to compete in. If you can manage to take it all the way and win the championship, you will be rewarded with a cup and various achievements. If you have yet to get in the Rocket League craze and are looking for a reason, then Rocket League: Collector’s Edition is the perfect reason. I cannot remember a game that I have had so much fun with, and kept coming back to time and time again. 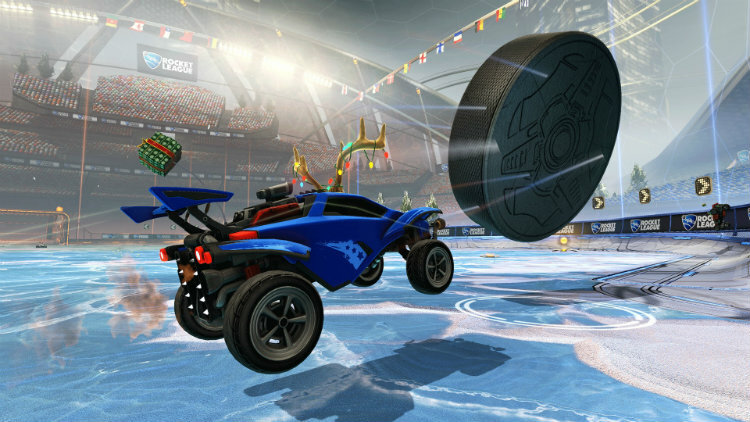 Rocket League is a game that anyone can easily pickup, start playing, and have a blast. With a plethora of game modes and an active online community, there is never a shortage of online players to game with. Rocket League: Collector’s Edition is a game for all ages that I highly recommend. I’ll see you online!